A few days ago I was stuck in traffic near our San Mateo office (highway 101 for the locals) and the carpool sign caught my eye for some reason. My mind tends to wonder when I am stuck in dense traffic, so I started to diagnose the intent of the sign. The purpose of the carpool lane is to incent vehicles with multiple passengers, in the hopes of reducing traffic congestion and air pollution. Awesome right? But, what if you had no clue that such a restricted traffic lane existed? The carpool sign serves a very important purpose of notifying drivers what the carpool lane is and who can use it. Simple, but effective. This got the cogs in my brain to start spinning (unfortunately my wheels weren’t) and I began thinking about how the carpool sign translates to the customer engagement world. Imagine all the leads in your database being drivers, your email nurturing tracks being the freeways, and your emails being the roadside signs. Each email that you send should help your leads make an informed decision and get to the desired destination–hopefully, purchasing your product or solution. But, how do you accomplish this with the right person at the right place at the right time? This is where accelerator campaigns come in. Accelerator Campaigns are used to move leads through the funnel faster by sending purposeful content at the right time. These campaigns are like your carpool signs–guiding qualified drivers into the fast lane. Leverage offers that you already have. You should choose late stage offers that help identify purchase intent, such as product demos, buyer’s guides, etc. The accelerator offer does not need to be tied to a monetary reward. Use a combination of demographic and behavioral data to narrow down your target list. 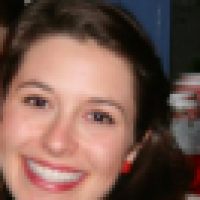 This becomes extremely important when your campaign is tied to a monetary reward, as you don’t want a cluster of unqualified leads engaging simply for the reward. You should expect lower engagement with an accelerator campaign vs. an early-stage content piece, but continue to optimize copy, subject line and offer to improve engagement. Here are some things we’ve tested: offer (demo vs. book/white paper); reward amount (no reward vs. $50 vs. $100 giftcard); personalization (standard HTML email vs. text-only). Use scoring and sales alerts to route engaged leads for immediate follow-up. 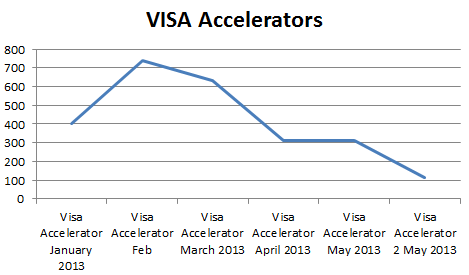 Make sure you can prove the impact of your accelerator campaigns to generating opportunities and closed business. In response to these declining numbers we started to create accelerator campaigns with more diverse offers such as winning a trip to our Summit, getting a gift basket, or just a demo offer. These seemed to perform better in our tests. 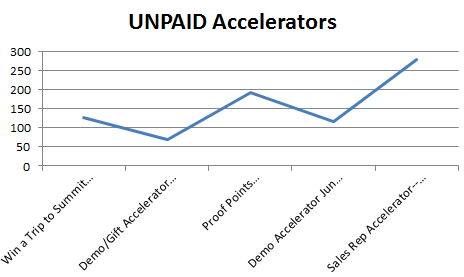 So not only are these accelerators performing better, but we also know that the people who do respond are much closer to making a purchase. 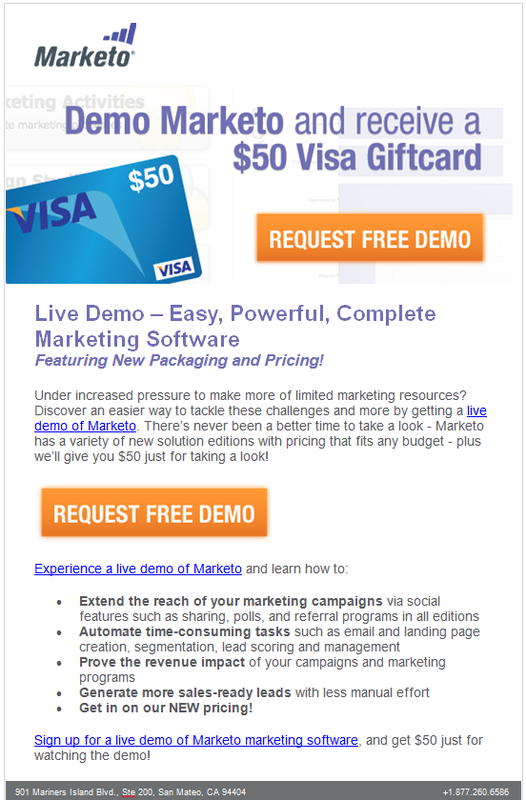 Someone interested in just getting a $50 Visa gift card won’t respond to an accelerator offering a download to a 3rd party report validating your service. However, someone who is closer to making a purchase will. So you can make sure your sales teams are spending time following up with the right people. As your leads drive down the buying highway, help them get to their destination faster. Accelerator campaigns can help nudge them along. Have you used accelerator campaigns in your marketing? Please share your thoughts/comments.